Keep your house nice and clean and healthy for your family. 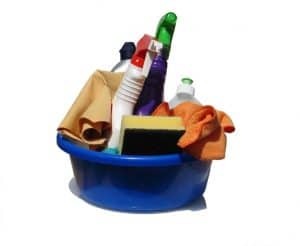 Keeping your home clean is much easier if you have an easy-to-keep schedule. Especially if you concentrate on “preventative maintenance.” If you think ahead and plan your cleaning tasks appropriately, you will find you won’t be stuck for an entire weekend playing catch-up with house cleaning chores. In the kitchen, it’s easy to let dishes and other mealtime items pile and stack up. Allowing dirty dishes to slowly take over the kitchen sink and nearby counter tops. Instead, make it a habit that after mealtimes or snacks that everything is washed, cleaned and put away immediately. If you use it, you clean it.